Absolutely, and you should be asking this question of anyone you are considering for your next project. Maintaining good liability insurance is very important when you want to protect your customer's property. We take pride in the fact that we will treat your property as if it were our own, but we maintain liability and workers comp insurance just in case. Yes, we have been here and we will be here in the future! Yes. We will be happy to provide you with a long list of satisfied customers that you can contact about their experience with us. Do you install "X" type of roofing? We install many different types of roofing, but more importantly, not every material is a perfect fit for every roof. 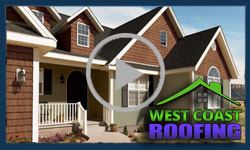 For an honest assessment of your best material and solution for your roof, call us today.